It is a set of C packers for popular speccy formats like megalz and hrust. It is ready-to-use Z80 depackers, including headerless versions of hrust depackers (both stack-using and not). It is optimal (nearly-optimal for hrust) packing algorithms, yielding best possible packing ratio within given format. executables for win32 and linux-x86 are already built. Пак работ с графического realtime конкурса, прошедшего на фестивале 'Мультиматограф #9'. Работы рисовались в атрибутах Спектрума. AGD is a tool for writing your own simple arcade games. Download the latest version here. Sprites can now be individually coloured using the SPRITEINK command. If 16x16 sprites aren't big enough, there's an option to use 16x24 instead. Note there's still a one-size-fits-all policy, but at least you now have a choice. It'll even resize your sprites for you. In this episode we go back to June 1984 and get all the latest Sinclair news and top selling Spectrum games. We look back at a dark period in emulator history as its tenth anniversary passes. We check out some older games and look at some newer titles. Your Game 5 Has Been Announced! After about three years of absence, the Your Game competition gets the fifth run, as well as several changes to the rules and organizer team. Super Spectrum is not a dream now. In ATM Turbo computers (since 1991) each pixel can have its own colour, 320x200 in 16 colours out of 64. You have 1MB RAM (4MB in ZX Evolution), 7 MHz CPU (14 MHz in ZX Evolution) and Beta 128 Disk Interface (plus SD card interface added in ZX Evolution). You can use AY sound, 8-bit DAC, or any of NeoGS and TurboSound FM sound cards. The deadline will be in June 2014. But try to contact us as early as possible if you write a game for our compo. We'll consult you and help with sources, docs, testing etc. 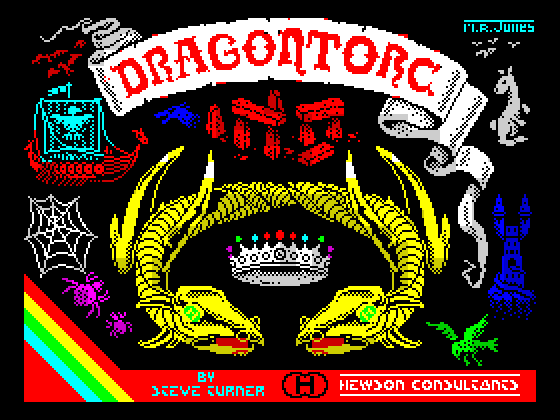 Prize fund is $500 so far, from 6 sponsors interested in the development of ZX Spectrum. The rules of the compo are TBA. Starting from v2.0 iZX deprecate old activation method. Now iZX activation key can be obtained via PayPal. Price didn't change, however trial mode is removed. But you can still try iZX Lite version before buying iZX, it's free. Those customers who already bought iZX can get activation key for free. See here for more details. Now about new features. The biggest one is online downloader integrated with WOS. It allows to browse catalogue, search for games and download them from WOS. Another most wanted feature is bluetooth keyboard support. The third feature is an ability to load programs from MIC input of device. Also in release 2.0 you'll meet with new GUI interface for iPad, quicksaves and other improvements.